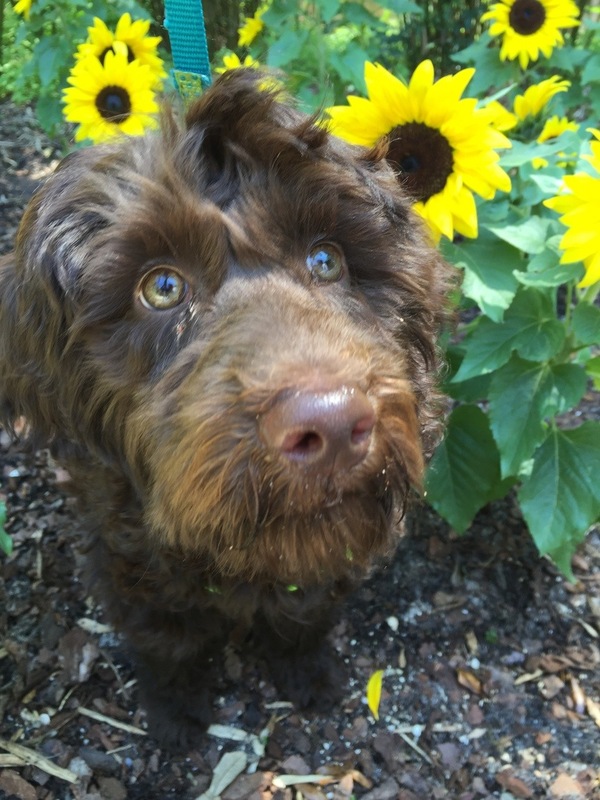 In this article, Happy Time Doodle—conveniently based out of Richmond, Kentucky (KY)—are here to provide you with some tips on the care and grooming of your Australian Labradoodle. To learn more about this fabulous breed, or to find one of your very own, contact us today! We proudly serve the entire United States. Australian Labradoodles are known for their fluffy, soft coats that don’t or shed. These wonderfully tempered four-legged friends don’t shed hair all over a home, but that does not mean that their grooming is any less important. Grooming an Australian Labradoodle is a very important part of properly caring for your pet, and it is important that you know what needs to be done. At Happy Time Doodles of Richmond, Kentucky, we want to show you how to groom your Australian Labradoodle, so you can make sure your pet is comfortable and healthy. Australian Labradoodles are a higher-maintenance breed when it comes to grooming. To ensure that your furry friend is comfortable and clean, an Australian Labradoodle should be professionally groomed every 4-6 weeks. If Labradoodles are not groomed this frequently, their coat becomes matted due to the lack of shedding associated with the breed. We recommend they be brushed out at least once a week. Washed and brushed every other week and fully groomed 4-6 weeks. Bathing your Australian Labradoodle will also make an impact on their coat health. Frequent baths with gentle, shampoos can condition the coat and make it softer. During the bath you should ensure that your labradoodle is scrubbed, thoroughly rinsed, and dried appropriately. Combing out your pet’s fur after a bath is also a great idea, just apply a small amount of conditioner to ease the process and then make sure it is rinsed clear. Ear and eye care is another incredibly important part of grooming your Australian Labradoodle. Ear hair needs to be trimmed and the ears should be kept clear of hair. A groomer will know how to pluck this hair and remove it, so make sure you see a groomer who specializes in the breed. In addition, when bathing your Australian Labradoodle, make sure no water gets trapped in their ears because this can lead to irritation. Eye care is just as important when it comes to grooming. Australian Labradoodles have naturally weepy eyes, which is a trait passed down from poodles. To keep your pet’s face clear of stains near the eye, daily cleaning will be required. This can be done with a wet cloth, baby wipes, or pet eye wipes. Because gum disease can be an issue for all dogs, it is important to feed your dog hard dog food, give them toys for chewing, and provide them with regular tooth brushing. All of these methods will help reduce the tartar build up on their teeth; keeping their breath fresh and their gums clean and healthy. Perform dental care on your pet early to get them adjusted. While Australian Labradoodles do require a little extra grooming work, these dogs will surely bring joy to your whole family regardless of the need for frequent baths. If you have more questions about the breed, their grooming needs, or are interested in reserving a slot for litters, contact Happy Time Doodles today! As a Golden Paw Breeder and member of the Australian Labradoodle Association of America, we proudly work with potential owners across the entire United States. 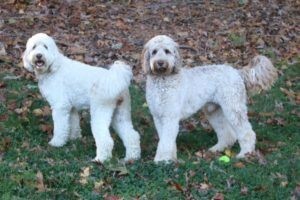 In this article, Happy Time Doodles—conveniently based out of Richmond, Kentucky—are here to provide you with some information on Australian vs traditional Labradoodles breeds. If you would like more information, or would like to adopt an Australian Labradoodle yourself, contact us today! While Labradoodles and Australian Labradoodles may sound similar, they are completely separate breeds with significant differences. Australian Labradoodles have been bred for multiple generations, and this practice has allowed the personality traits and the physical appearance of the dogs to be standardized. This has caused the breed to be less like a hybrid and more like a separate breed. These selective, strict breeding programs have led to the enrichment of the positive genetic attributes of the breed. The color, coats, and other qualities are all dependable and can be reliably predicted. However, consistency is an issue with traditional Labradoodles. Puppies have variations in coat types, temperaments, and sizes. As the second and third generations have been born, it is apparent that the genetic deviations have continued. This can unfortunately intensify negative and unwanted characteristics. It is harder to know just what kind of dog you are getting with traditional Labradoodles. Labradoodles are simply a combination of Labrador Retrievers and Poodles. Regular Labradoodles have a few terms to differentiate them, but since they have the same parent breeds, the names can be used interchangeably. Australian Labradoodles have a complex lineage. A mix of six parent breeds has been used to create them. They are a cross between Curly Coat Retrievers, English Cocker Spaniels, American Cocker Spaniels, Labradors, Poodles, and Irish Water Spaniels. Currently, however, only a blend of Poodle, Labrador Retriever, and Cocker Spaniel is used when breeding Australian Labradoodles. One of the most glaring differences between the breeds is shedding. Some Labradoodles do having shedding problems, while Australian Labradoodles typically do not have this issue. Because of this, they are hypoallergenic and a safe choice for those suffering with allergies. The rigorous breeding methods have allowed this trait to remain consistent for the breed. Temperament is another matter that puts distance between the two breeds as well. Labradoodles tend to be hyperactive, which causes them to require near constant attention and lots of exercise. The energetic nature of the dogs can be more demanding than what many families can handle. Australian Labradoodles on the other hand have a much calmer disposition. They are certainly not lazy, and do enjoy activity, but they will not destroy the home when they become bored, making them more low-maintenance than traditional Labradoodles. At Happy Time Doodles, we are breeders of Australian Labradoodles. We provide attentive and nurturing care to all our dogs as the facility is located at our home. The amount of love we provide is evident in the quality of dogs we have to offer. All of our puppies are tested for medical issues to ensure you are getting a healthy, happy dog. You can rest assured that your new puppy comes from the founding bloodlines as we have top quality ALAA certified pedigree. We are located in Richmond, KY and provide service to the entire United States. Call us today to find your family’s newest addition! Australian Labradoodles are not just a breed made by crossing a Labrador with a poodle. There are a variety of different types of labradoodles, so what makes Australian Labradoodles so special? 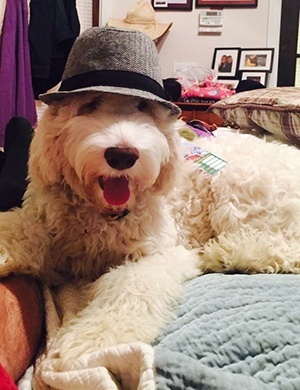 To fill you in on why these are going to be your new favorite dog, the experts at Happy Time Doodles of Richmond, KY are here to show you why Australian Labradoodles stand out from the pack. Australian Labradoodles have a vibrant personality. They are extremely sociable dogs, and they thrive on human interaction. They dislike spending long periods of time outside or being left alone. This breed has a friendly demeanor and will enthusiastically approach people, making them a great choice for homes with children. Not only are they outgoing, but these dogs are intelligent as well. Their clever nature makes it easy for them to be trained and learn commands. They also are quite intuitive, which gives them the ability to detect the emotional state of their owners and family members. The capability to understand the feelings and desires of those who share a connection with them makes Australian Labradoodles the perfect companion for individuals with special needs. They are also a great choice for families, as the dogs are excellently behaved with young children as well as anyone else who may be uncomfortable around more boisterous dogs. There are many qualities that multi-generational Australian Labradoodles possess which separate them from traditional Labradoodles. Selective, strict breeding programs—like the one we have here at Happy Time Doodles—have allowed the positive qualities of the Australian Labradoodles to be amplified and have greater consistency, while weeding out qualities that may appear in earlier iterations of the breed. The coats, color, allergy friendliness, and non-shedding hair are found to be more reliable in these later generations. This type of dog also is able to have more positive behavioral characteristics and a better temperament due to the breeding process. Early generation Labradoodles shed their coats due to the fact that they are only a few generations separated from a Labrador. On the contrary, Australian Labradoodles are many generations removed from the shedding Labrador, making them a great choice for anyone who suffers from allergies related to pet dander. The body of the dog is compact, and medium-boned. They carry themselves with a spectacular combination of grace and athleticism. The height is between 14 to 24 inches, but never more than 25 inches tall. The weight range is 15 to 65 pounds, but they do not appear heavyset. Due to the development of the breed Australian Labradoodles have three size ranges: miniature, medium, and standard. Because of this, whether you are looking for a dog to spend time adventuring outdoors with, or a friend to snuggle up on the couch with you, there is sure to be an Australian Labradoodle that will fit in perfectly with your family. At Happy Time Doodles, we are sure to have the perfect Australian Labradoodle for you. We prioritize health, so we test our dogs’ hips, elbows, eyes, hearts, and thyroids for proper function before passing them on to their new families. Every puppy comes from founding bloodlines in Australia, and has ALAA certified pedigree. We rely on the Volhard Puppy Aptitude test to ensure you receive the puppy that is best suited for your home. We are located in Richmond, KY and proudly serve the entirety of the United States. Call us today to learn more about our Australian Labradoodles.